Brace yourselves! The SNES Classic Edition is coming in September. You will recall the craze that surrounded the NES Classic Edition throughout much of 2016. Many people tried and failed to get their hands on the tiny NES that came preloaded with 30 of the Nintendo's classics from the console. 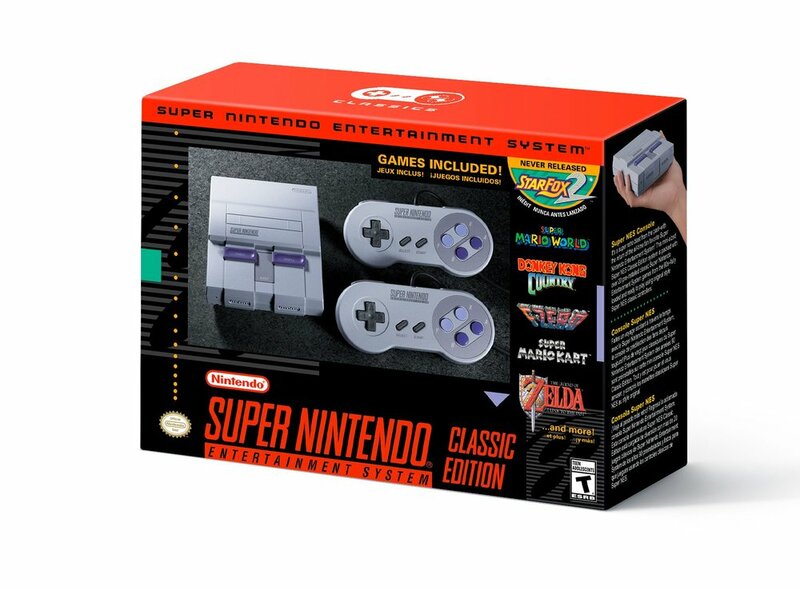 Today, Nintendo announced that the SNES Classic Edition will be available for purchase on September 29th, 2017. Pricing and availability have not been announced as of yet, only this tweet from the Nintendo of America Twitter account. Now, we can hope that Nintendo makes more stock available than they did for the NES Classic last year, but I would likely bet a mortgage payment on Nintendo playing the classic stock shortage game they have been playing since the 1980's with the original NES console. But we can hope! The Super NES CLassic Edition is slated to cost $80 USD, the same price as the NES Classic Edition. Nintendo has started to prep us for the inevitable. In a statement sent to Business Insider, Nintendo said that the "Super NES Classic Edition is currently planned to ship from Sept. 29 until the end of calendar year 2017. At this time, we have nothing to announce regarding any possible shipments beyond this year." However, every cloud has a silver lining. In the same statement, Nintendo said that they "will produce significantly more units of Super NES Classic Edition than we did of NES Classic Edition."